On July 7, 2017, Mennonite Church USA voted to approve the ‘Seeking Peace in Israel and Palestine‘ resolution. Read MennoPIN’s press release about this action here. This is the portion of Israel’s wall inside Palestine that separates Bethlehem from Jerusalem. We would like to highlight the Sabeel Wave of Prayer, updated weekly by the Sabeel Palestinian Christian organization. Reminding us that prayer is an essential part of peacemaking, these prayers address regional, timely concerns for Palestine-Israel from a Christ-centered perspective. 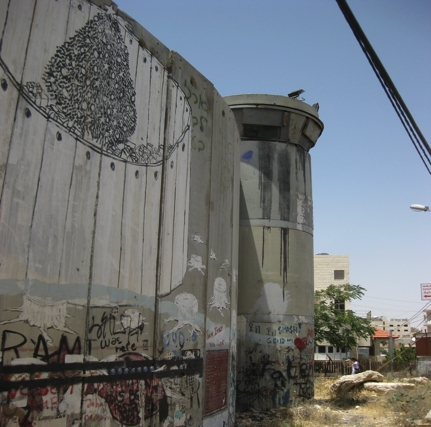 The posts address regional, timely concerns for Palestine-Israel in a Christian perspective. Subscribe and join this community of prayer. For more than sixty-five years, Mennonites have lived, studied and ministered in Palestine and Israel … We open our hearts when we again hear of the suffering you experience in an occupied land as homes are taken from you, families and communities are separated by walls and checkpoints, and countless large and small indignities and humiliations are visited upon you each day. This excerpt from a 2011 letter written by Ervin Stutzman, Executive Director of Mennonite Church USA on behalf of the Executive Board, was a response to Kairos Palestine, an appeal from Palestinian Christians in December 2009. Since 2007 the urgency of the crisis in Israel-Palestine has only deepened, with little progress to show politically and ever-increasing levels of suffering. 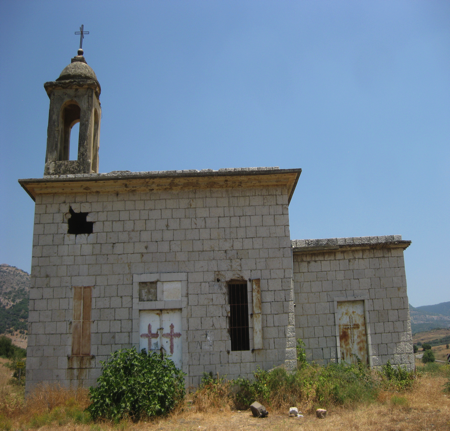 We find ourselves at a Kairos moment, as articulated by Palestinian Christians. We strongly affirm the longstanding Mennonite presence in the region of Israel-Palestine, including the work of Mennonite Mission Network, Eastern Mennonite Missions, Virginia Mennonite Missions, Mennonite colleges, universities and seminaries, Mennonite Central Committee, Christian Peacemaker Teams and Mennonite Church Canada. The presence of these workers and others has provided a powerful witness to the way of peace in a place of great conflict. In turn, our understanding of our Anabaptist identity and beliefs has been greatly enriched by interactions with fellow believers and others in the region. We urge that programs of service to Palestinians and Israelis working for a just peace not only continue but be enhanced, including work by various Mennonite-related groups to improve lives and build peace and advocacy initiatives from Mennonite Central Committee’s Washington (D.C.) Office. We note the personal and congregational concern that Mennonites have long shared for Christian stewardship and the social and environmental impact of our investments. We believe that the finances contributed to our churches will be used to further our Christian witness to the life and ministry of Jesus Christ. Therefore, we believe that these resources should not be used in the furtherance of pain, death, and suffering of one people at the hands of another. We affirm Everence’s practice of screening investments with attention to issues of human rights and military involvement, among other considerations. opportunities for Mennonite pastors and other leaders to participate in Israel-Palestine learning tours and to “come and see” the current reality (Purposeful Plan, lines 980-984). We encourage all church members who are considering travel to the region to follow the goals and criteria/tour components for Come and See tours as outlined by Mennonite Church USA. We acknowledge the long history of violence by Christians against Jews. All actions that stereotype or demonize people based on their religious beliefs or ethnicity are contrary to the teachings of Jesus; we must have no part in them. When addressing the injustice of the current Israeli occupation of Palestine, it is critical that we speak about the policies of the Israeli government and not identify or equate the Jewish people with that government. To encourage the reading and study of the Kairos Palestine document. We affirm our particular kinship as brothers and sisters in Christ with Palestinian Christians. In this context we hear the “cry for help” expressed in the Kairos Palestine document, issued in 2009. Based in a theology of loving ones’ enemies and sacrificial love, this document is worthy of careful study by member congregations of Mennonite Church USA, as recommended by the Mennonite Church USA Executive Board in 2011. In support of this effort, we encourage Mennonite Church USA to develop a structure and process for disseminating and studying the Kairos Palestine document and appropriate study materials, in conjunction with the Mennonite Palestine-Israel Network. We encourage congregational resource advocates to make available information about Israel-Palestine. To consider how our financial lives are enmeshed in the policies of occupation, through our investments, individual purchases and tax dollars. To this end, we direct representatives of the Executive Board of the Mennonite Church USA along with representatives from Everence, Mennonite Central Committee, Mennonite Palestine Israel Network, Mennonite Mission Network, and other related agencies involved in the region, in mutual consultation, to review, at least on an annual basis, the investments of Mennonite Church USA for the purpose of withdrawing investments from corporations known to be profiting from the occupation and/or destruction of life and property in Israel-Palestine. A report of this review and related activities should be submitted on an annual basis to members of the Executive Board.We further urge individuals and congregations to avoid the purchase of products that enable the military occupation to continue, including items produced in Israeli settlements.In keeping with our historic commitments as a peace church and consistent with our opposition to the militarized resolution of conflict, we condemn the use of violence by all sides. We call for an end to U.S. military assistance to all countries, including Israel. We urge nation-states, including our own, to seek security in the only way it may truly be found, through relationships of mutuality and trust and the guarantee of equal rights for all peoples. To pray earnestly for all Israelis and Palestinians. As commanded in 1 Thessalonians 5:17, we commit ourselves to pray ceaselessly for all in Israel-Palestine, particularly our Palestinian Christian brothers and sisters, all those working courageously for peace including Israeli conscientious objectors, and all who have been impacted by violence. In addition, we request that a report covering all activities related to this resolution be developed and delivered, under the leadership of the Director of Holistic Witness, at the next Mennonite Church USA convention.